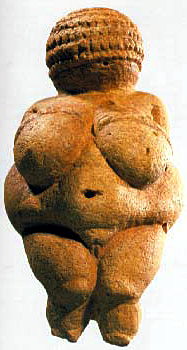 This page provides a look at the ideal human figure tracing the visual development of the body image in art from Ancient art to the Renaissance. Venus de Milo, Classical Greek sculpture, c. 150 B.C.E. 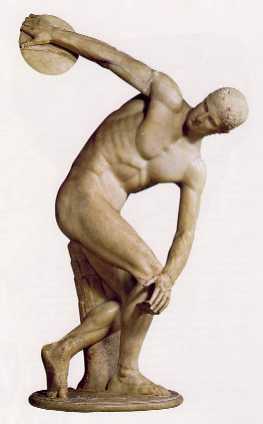 Roman copy of the Classical Greek sculpture, c. 400 B.C.E. Leonardo da Vinci, Study of Human Proportions according to Vitruvius. 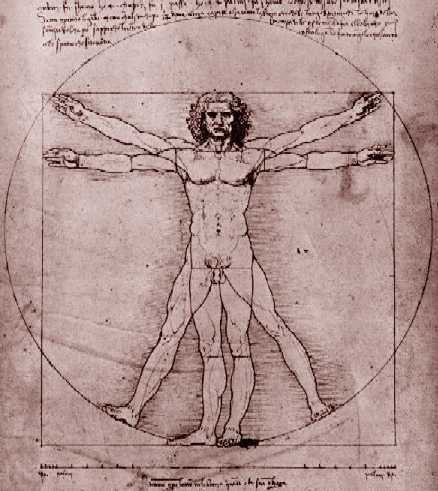 Here we see Leonardo's interest in applying mathematics to proportional scaling in human anatomy. He positioned the male figure inside a square and a circle. His man's height is equal to the length of the outstretched arms. The groin is at the center of the square. The navel is at the center of the circle. Ralph Larmann, University of Evansville. great artists and styles for study, that I'll continue to add more all the time. to any of my pages for your online discussions and other learning activities.